Section 4 of the (Indian) Competition Act 2002 (the Act) prohibits enterprises holding a dominant position in a relevant market from abusing such a position. Explanation (a) to section 4 of the Act defines ‘dominant position’ as a position of strength, enjoyed by an enterprise, in a relevant market, in India, which enables it to operate independently of competitive forces or affect its competitors or consumers or the relevant market in its favour. Section 19(4) of the Act sets out various factors that the Competition Commission of India (the CCI) must consider in assessing whether an enterprise enjoys a dominant position, such as market share, size of the enterprise, resources available to it, importance of competitors, economic power, commercial advantages, vertical integration, consumer dependence, entry barriers, market structure and size. The preamble to and section 18 of the Act suggests that the purpose of the Act includes ensuring fair competition in India. The standard is largely economic, with a view to preventing practices that have an appreciable adverse effect on competition, promoting and sustaining competition in markets, and protecting the interests of consumers. The Act does not provide for sector-specific regulation of dominance. Under the Act, the CCI has powers under which it can investigate unilateral conduct by dominant enterprises across all sectors. The Act applies to all enterprises, including state-run, public entities, and departments of government that are engaged in an economic activity. However, under section 2(h) of the Act, this does not include any activity of the government relating to its sovereign functions, including activities relating to atomic energy, currency, defence and space, and such activity is, therefore, not covered by the Act. The concept of economic activity has been construed broadly. In Rajat Verma v Haryana Public Works (B&R) Department and Ors (2016), the Competition Appellate Tribunal (the COMPAT) considered that the Public Works Department for the state of Haryana was to be considered an enterprise as it was engaged in an economic activity and provided services to the public. The fact that the activity was not done for profit was irrelevant. The COMPAT approvingly cited case law of the European courts to the effect that an activity of an economic nature means any activity, whether or not profit-making, that involves an economic trade. The question of whether an activity of a department of government relates to sovereign functions is decided on a case-by-case basis. For instance, in the Shri Surinder Singh Barmi v Board of Cricket Control of India (BCCI) (2017) and the Dhanraj Pillay and Others v Hockey India (2013) decisions, the CCI found that the organisation of sporting events could not be viewed as a sovereign function. In Shri Shubham Srivastava v Department of Industrial Policy & Promotion (DIPP), Ministry of Commerce & Industry (2013), the CCI held that the functions performed by DIPP in relation to the formulation, promotion and approval of foreign direct investment policies amounted to the exercise of control over goods or services and, as such, the functions performed by DIPP were non-sovereign functions. In contrast to this, in Vineet Kumar v Ministry of Civil Aviation (MOCA) (2013) and Om Prakash v Central Bureau of Narcotics and others (2013) the CCI concluded that MOCA, and separately the Central Bureau of Narcotics and the Narcotics Control Bureau respectively were not enterprises under the Act, as the functions performed by them constituted sovereign functions (such as regulation and formation of policy for the civil aviation sector, and regulating and controlling the import of poppy seeds into India and ensuring that illegally cultivated poppy seeds were not imported into India). As mentioned above, section 4 of the Act regulates the conduct of a dominant enterprise. It does not cover conduct by which a non-dominant enterprise becomes dominant, as it is only the abuse of a dominant position that is objectionable under the Act. However, if a qualifying merger, acquisition or an amalgamation (referred to in the Act as a ‘combination’) would create an entity that is dominant in the relevant market (or strengthens a dominant position), the merger control provisions (ie, sections 5 and 6) of the Act may also be applicable. The Act does not recognise the concept of ‘collective dominance’ by enterprises that are unrelated to each other by structural or control-based links arising from common corporate ownership (see ‘Update and trends’). In Royal Energy v IOCL, BPCL and HPCL (2012), in determining whether the actions of three oil marketing companies amounted to an infringement of the Act, the CCI explicitly held that the concept of collective dominance was not envisaged under the provisions of section 4 of the Act. Because each company was an independent legal entity and no one company exercised control over another enterprise, the CCI also found that the three companies could not collectively form a group. The Act does not distinguish between dominant purchasers and suppliers and the abuse of dominance provisions apply to both. Coal India has been found to be the dominant purchaser of ‘services relating to the collection, preparation and transportation of coal samples’, as well as for the purchase of industrial explosives. In both cases, the CCI has recognised the freedom of a purchaser to choose its suppliers and did not find Coal India’s conduct abusive. The Act defines a relevant market to include both the ‘relevant product market’ and the ‘relevant geographic market’. A relevant product market is defined under section 2(t) of the Act as a market comprising all those products or services that are regarded as interchangeable or substitutable by the consumer, by reason of characteristics of the products or services, their prices and intended use. Accordingly, relevant product markets are primarily defined from a demand-side perspective. The relevant geographic market is defined under section 2(s) of the Act to consist of the area in which conditions of competition for the supply of goods or provision of services or demand of goods or services are distinctly homogeneous and can be distinguished from the conditions prevailing in neighbouring areas. The CCI considers India as the broadest relevant geographic market for the purposes of the Act, even where economic factors (including significant imports) suggest a market larger than India. On the other hand, the CCI has not shied away from defining narrow markets within India based on local demand and supply conditions. Relevant market definitions in merger cases have been held by the COMPAT not to be directly applicable in abuse of dominance cases. In the National Stock Exchange case (2014), it remarked that there is a fundamental difference between the two types of decisions. Merger decisions are an ex-ante review, based on an assessment of probabilities that competitive issues will arise, whereas the review in an abuse of dominance case takes place after the fact, when possible issues have become apparent. The market share of the enterprise concerned leads the list of factors for which the CCI is to have due regard when determining whether or not an enterprise is dominant. However, there are no defined market share thresholds for a presumption of dominance. Nor are market shares determinative of dominance on their own. The CCI has considered internationally recognised principles. 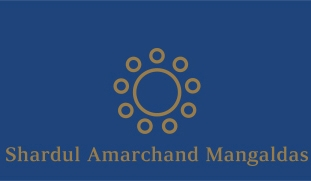 For example, in Schott Glass India Pvt Ltd v Competition Commission of India (2012) (Schott Glass case), the CCI considered the Akzo presumption of dominance where an enterprise enjoys a market share of 50 per cent or more and also the finding of dominance in the European Commission’s decision in the United Brands case where a market share of 45 per cent was held to confer a dominant position. The COMPAT affirmed the findings of the CCI on dominance and the reliance placed on the foreign jurisprudence in appeal (2014). uses its dominance in one market to enter into or protect its position in other relevant markets (ie, leveraging). In the absence of dominance, there can be no abuse; therefore, as a first step, dominance of an enterprise in a relevant market needs to be established. As to the requirement to show anticompetitive effects, in some older cases, the CCI has considered and applied an object-based approach while finding abuse (for example, National Stock Exchange case). In more recent cases, however, the CCI and COMPAT have deployed an effects-based approach while evaluating abusive conduct. The following cases are illustrative. In the Schott Glass case the COMPAT found that unlawful price discrimination required a showing of both ‘(i) dissimilar treatment to equivalent transactions; and (ii) harm to competition or likely harm to competition in the sense that the buyers suffer a competitive disadvantage against each other leading to competitive injury in the downstream market’. The COMPAT found the CCI had wrongly ignored the second limb and that the evidence showed there was ‘no effect on the downstream market and ultimate consumer did not suffer’ as a result of the alleged conduct. The matter is under appeal before the Supreme Court. In XYZ v REC Power Distribution Company Ltd, the CCI noted that establishing a denial of access meant proving ‘anticompetitive effect/distortion in the market in which denial has taken place’. In Dhanraj Pillay & Ors v Hockey India, the CCI balanced anticompetitive effects against the defendant’s justifications. The CCI held that the Act was not violated where allegedly abusive contractual restrictions were not disproportionate to a sporting organisation’s legitimate regulatory goals. Finally, in ESYS Information Technologies Pvt Ltd v Intel Corporation & Ors (Intel case), the CCI dismissed section 4 claims based on Intel’s distribution agreements in part because ‘the distributors of intel products are not precluded from dealing in the products of its competitors and in fact they were found dealing in the competing products’ and therefore ‘there is no question of foreclosure of market for the competitors of Intel’. In summary, the more recent CCI and COMPAT jurisprudence reflects a move away from rigid form-based analysis. Instead, the CCI is increasingly requiring proof of anticompetitive effects in its enforcement action. Although not expressly stated as such, section 4 is drafted widely enough to cover both exploitative and exclusionary practices. The CCI, in HT Media Ltd v Super Cassettes Ltd (2014) (HT Media case), observed that pricing abuses may be ‘exclusionary’ (ie, pricing strategies adopted by dominant firms to foreclose competitors) or ‘exploitative’ (ie, which cover instances where a dominant firm is accused of exploiting its customers by setting excessive prices). In this case, the CCI held the minimum commitment charges (MCC) imposed by Super Cassettes Industries Limited (SCIL) to be both exploitative and exclusionary. Exploitative abuses, such as excessive pricing and unfair terms of contract, have been considered in various cases by the CCI. In Shri Shamsher Kataria v Honda Siel Cars India Ltd & Ors (2014) (Auto Parts case), the CCI considered the passenger vehicle market and the after markets comprising spare parts, diagnostic tools and provision of after-sales repair and maintenance services. It found that 14 car companies had abused their dominant positions in their respective after markets by requiring customers to purchase spare parts and diagnostic tools solely from the respective car manufacturer or its authorised dealers. The CCI held that this amounted to a denial of market access to competitors, applying the essential facilities doctrine. The CCI also found that the car manufacturers had engaged in excessive pricing of their spare parts. This finding has been confirmed by the COMPAT (2016). On appeal by three of the car manufacturers, the Supreme Court has stayed operation of the COMPAT’s judgment. In the Coal India case (2014), the CCI found that Coal India, which had a state-sanctioned monopoly on coal supplies, had imposed unfair terms and conditions in its contracts relating to supply of coal to customers. On appeal, this was upheld by the COMPAT (2016) and is currently under appeal in the Supreme Court. Separately, following the setting aside and remand of another finding of abuse of dominant position against Coal India, the CCI re-examined the agreements entered into by Coal India and again found a contravention. However, largely on the basis of remedial measures taken by Coal India, the CCI reduced its earlier penalty from US$273 million to US$91 million. This case is also under appeal in the Supreme Court. In Google (2018), the CCI held that the pre-determined and prominent display of Google’s own products in the search results was an unfair/discriminatory condition in the provision of services. The CCI is not required to demonstrate the link between abusive conduct and dominant position. It appears that any conduct, as set in response to question 11 above, could amount to an abuse if committed by a dominant enterprise. It is also not necessary for the dominance to exist in the same market where the effects of the anticompetitive conduct are felt. Section 4(2)(e) of the Act provides that there shall be an abuse of a dominant position if the dominant enterprise uses its dominant position in one relevant market to enter or protect another relevant market. The only explicit defence that is listed in the Act is the ‘meeting competition’ defence for discriminatory prices or conditions. This defence enables enterprises in dominant positions to respond to moves made by their competitors. For example, in Dhruv Suri v Mundra Port & Special Economic Zone Ltd (2010), the CCI allowed the discounts charged by a port operator, noting that they were designed to meet the competition from other port operators in the relevant market. The Act does not provide for an objective justification defence; however, the CCI has considered justifications in limited circumstances. In the Schott Glass case (2012), the CCI held that Schott Glass was within its rights to cease supplies to a customer in order to protect its trademarks and that its refusal to supply to such customer was objectively justified. In the Schott Glass appeal (2014), the COMPAT also observed that the grant of more favourable target discounts to a customer who provides more business may not be anticompetitive, provided no harm is caused to competition in the market. However, where conditions for granting such discounts were dissimilar for equivalent transactions, then it would cause anticompetitive effects in the market. Though target discounts, coupled with fidelity rebates (discounts offered as a counterpart of a commitment from the purchaser to place all or most of its orders with the seller) can be a persuasive horizontal exclusionary device aimed at foreclosing competition, in this case they were justified as Schott Glass offered the discount to an entity that was purchasing a larger quantity of the product and, thus, did not qualify as an equivalent transaction. Further, the discount policies and agreements were aimed at ensuring better quality in the face of competitive pressures from Chinese counterparts. The rationale for granting such favourable terms was based in efficiency and economies of scale. In Faridabad Industries Association (FIA) v M/s Adani Gas Limited (AGL) (2014) (Adani Gas case), the CCI held that a restriction imposed by a dominant enterprise may not be abusive if such dominant enterprise is imposing such restriction because it is subject to the same restriction by a third party. In Auto Parts (2016), the COMPAT refused to accept that the car manufacturers’ limited distribution of their spare parts was justified to prevent counterfeiting and their installation by unskilled independent repairers. The COMPAT held that, although this was a legitimate concern, consumers would be better served if inexpensive spare parts were made readily available on the open market, reducing the potential demand for counterfeits. The COMPAT required the government to intervene and develop quality standards for repairers. On appeal, the Supreme Court has stayed the COMPAT’s judgment. In Anand Parkash Agarwal v Dakshin Haryana Bijli Vitran Nigam and Ors (2017), the COMPAT held that while discriminatory pricing is not permissible under section 4(2) of the Act, if there are any objective justifications or a ‘redeeming virtue’ for different prices being charged from different consumers, it may not amount to discriminatory pricing. The CCI held that the variation in pricing was authorised by virtue of section 62(4) of the Electricity Act, based on the objective criteria of consumption. The Act does not specifically cover discounts and rebate schemes. However, rebate schemes may be looked at from the perspective of unfair or discriminatory prices and conditions, or other exclusionary practices (eg, that limit or control production of goods and supply of services or are practices that result in the denial of market access), and therefore may be covered under the Act. In the Intel case (2014), the CCI found that Intel’s incentive and target schemes did not foreclose competitors, and that this was reflected in the distribution of competing microprocessors by Intel’s distributors and OEMs. The complainant’s allegation that distributors were restricted from dealing in competing products was found to be unsubstantiated. Further, the CCI observed that Intel’s incentive schemes were targeted at increasing sales of low-demand products and offered non-predatory discounts to meet competition, all of which were found to constitute reasonable business practices. Unilateral tying and leveraging are considered abusive under section 4(2)(d) and section 4(2)(e) of the Act. the tying arrangement must affect a ‘not insubstantial’ amount of commerce: a tie-in arrangement is only considered to be abusive if a ‘substantial’ portion of the market is affected. The COMPAT in Schott Glass (2014) held that, for an abusive tie-in arrangement under section 4(2)(d) of the Act to be made out, the tied product and tying product must be entirely different and have no connection to each other in their application. Exclusive dealing, non-compete provisions and single branding restrictions could constitute abuses of dominant position, as they would all be characterised as practices that result in the denial of market access as covered by section 4(2)(c) or limiting production or technical development as covered by section 4(2)(b). The CCI is increasingly analysing the foreclosure effect of such conduct as a requirement under section 4 of the Act (see response to question 10). Explanation (b) to section 4 of the Act sets out a two-step test for assessing whether a dominant enterprise’s conduct is predatory. First, the price must be below cost (as determined by CCI regulations) and second, the dominant enterprise must have the intention to reduce competition or eliminate competitors. The CCI has published regulations on determining the cost of production, which state that the default cost benchmark is average variable cost (as a proxy for marginal cost). However, the CCI and the Director General (DG) may consider other cost measures such as avoidable cost, long-run average incremental cost and market value, depending on the nature of the industry, market and technology used, with reasons provided in writing. In National Stock Exchange of India Ltd case, the CCI found zero pricing by the National Stock Exchange (NSE) in the currency derivatives segment of stock exchange services to be unfairly low pricing. In appeal, the COMPAT clarified that the zero pricing by NSE was predatory. However, neither the CCI nor the COMPAT provided any guidance on the relevant cost benchmark to be applied in predatory pricing cases. The NSE has filed an appeal against the COMPAT’s decision before the Supreme Court. In two subsequent cases involving predatory bidding, M/s Transparent Energy Systems Pvt Ltd v TECPRO Systems Ltd (2013) and HLS Asia Limited, New Delhi v Schlumberger Asia Services Ltd, Gurgaon & Ors (2013), the CCI held that predatory pricing had to be assessed on the basis of an appropriate cost benchmark (ie, average variable cost), as reduction of prices in itself was actually the essence of competition. The CCI also observed that the abuse of predatory pricing had to be assessed on the basis of actual prices and not projected prices. The CCI had opened an investigation into Ola Cab’s activities, on the strength of a complaint by Meru Cabs, accusing it of predatory pricing under the scheme of section 4 of the Act, giving discounts to passengers and incentives to drivers on a scale such that it was operating at a loss in Bengaluru. In July 2017, the CCI dismissed these allegations against Ola, holding that Ola did not hold a dominant position in the relevant market as Ola and Uber posed competitive constraints on each other. The CCI also decided not to interfere with a new and evolving market, noting that any interference at this nascent stage would disturb market dynamics and risk prescribing a sub-optimal solution. As the COMPAT has been merged with the National Company Law Appellate Tribunal (the NCLAT) with effect from 26 May 2017, the appeal is being heard by the NCLAT. Price squeezes, although not specifically referred to in the Act, would be covered where they amount to unfair or discriminatory pricing terms under section 4(2)(a)(ii) of the Act and denial of market access under section 4(2)(c) of the Act. In 2016, the CCI opened an investigation into the activities of Grasim Industries for allegedly abusing its dominant position in the market for man-made fibres in India. The informant alleged that Grasim was abusing its dominant position by engaging in discriminatory pricing, offering lower prices to manufacturers that were exporting their products, and higher prices to those selling goods intended for the domestic market, and which would therefore be competing with Grasim’s own downstream garment business. A refusal to deal has been defined in the context of a vertical arrangement under section 3(4)(d) of the Act as ‘any agreement which restricts, or is likely to restrict, by any method, the persons or classes of persons to whom goods are sold or from whom goods are bought’. In the Auto Parts case (2014), a fine of 25.44 billion rupees was imposed on 14 car manufacturers for restricting the sale of car spare parts in the open market. This conduct was held to be both an abuse of dominance, as being a denial of market access under section 4(2)(c) of the Act, and a refusal to deal, on account of imposing restrictions through agreements, under section 3(4)(d) of the Act. On appeal, however, the COMPAT mandated the companies to pay a 2 per cent penalty on average annual turnover of spare parts in the aftermarket. The CCI is yet to determine this amount. The COMPAT’s judgment was stayed by the Supreme Court on appeal. Access to essential facilities would be covered under practices resulting in a denial of market access under section 4(2)(c) and possibly section 4(2)(b), which prohibits limitations or restrictions on the production of goods or provision of services or technical or scientific development relating to goods or services to the prejudice of consumers. In Arshiya Rail Infrastructure Ltd v Ministry of Railways (2013), the complainants had alleged that railway infrastructure was an essential facility and that the Ministry of Railways’ refusal to provide access to this rail infrastructure amounted to an abuse of dominance. The CCI found that the essential facility doctrine could be invoked upon an appraisal of the technical feasibility to provide access, the possibility of replicating the facility in a reasonable period of time, the distinct possibility of lack of effective competition if such access was denied and the possibility of providing access on reasonable terms. Only if these legal conditions are satisfied can a refusal to deal constitute an abuse under section 4. In this case, in relation to access to railway infrastructure, the CCI found that there were no technical, legal or even economic reasons why container train operators could not create their own terminals or similar facilities. The CCI therefore dismissed the complainants’ allegations of abuse. Further, in the BCCI case (2013) the CCI provided interesting insight into the interpretation of the essential facilities doctrine in India. The CCI found that BCCI had misused its role as the regulator of cricket in India to restrict economic competition in sporting events. The CCI appears to suggest that a restriction of access by a dominant enterprise to necessary infrastructure (which may be considered as an essential facility) to the detriment of competitors can amount to refusal to deal. This case was remanded by the COMPAT to the CCI for reconsideration on certain procedural grounds. Resultantly, the CCI passed its order (2017) in the matter after re-examining the issues before it and found a contravention by the BCCI. In Fastway (2018), the Supreme Court held that an illegal termination of an agreement amounted to a denial of market access. However, on the facts of the case, decided not to levy any penalty. Although reasonable conditions for the protection of intellectual property rights (IPRs) are not restricted by the Act with respect to anticompetitive agreements, there is no such explicit mention of IPRs in the abuse of dominant position provisions of the Act. An unreasonable unilateral refusal to license an IPR or discriminatory price between two enterprises can constitute an abuse of dominant position if these actions result in the imposition of an unfair condition or price, denial of market access, limiting production, technical or scientific development or price discrimination, or a combination of any of these. In the Auto Parts case (2014), the CCI held that an unreasonable denial of market access by a dominant company cannot be defended on the basis of holding IP rights and would be considered abusive under section 4. In the HT Media case (2014), the minimum commitment charges imposed by SCIL were considered exploitative and an abuse of SCIL’s intellectual property rights by the CCI because private FM radio stations had to pay the MCC irrespective of their actual play-out, which could be lower than the MCC. The matter is before the NCLAT on appeal. The CCI is currently investigating the potential abuse of a dominant position by Ericsson, on the basis that as the holder of a standard essential patent, it was bound by the commitments to license on fair, reasonable and non-discriminatory terms it had entered into while participating in the standard-setting process. Failure to abide by those commitments could amount to an abuse of dominance, as has been found in other jurisdictions. Section 4(2)(a)(i) of the Act prohibits non-price discrimination and section 4(2)(a)(ii) prohibits price discrimination. [i]t appears to be a common business practice to give better discount to the bulk purchase and unless it impedes the ability of the reseller to compete any competition may not probably arise… the alleged pricing policy of Intel does not amount to secondary line price discrimination and has not resulted in foreclosure of any of its downstream customers. Further, in Singhania & Partners LLP v Microsoft Corporation (I) Pvt Ltd & others (2011), the CCI (and, on appeal, the COMPAT in 2012) found that the prices imposed by Microsoft for different types of licences (OEM licences, volume licences and retail licences) granted to different categories of customers did not amount to price discrimination as the different licences giving customers different rights of use were, in fact, different products. Similarly, in Travel Agents Federation of India v Lufthansa Airlines (2010), where the prices of Lufthansa tickets on its official website were different from the fares made available to appointed travel agents, the CCI found that the sale of airline tickets through travel agents and through Lufthansa’s official website constituted two distinct markets and mediums and, consequently, the different fares did not amount to price discrimination. In opening its investigation against Ericsson (2015), the CCI found that the licences charged by Ericsson, besides, on the face, being a breach of its commitments to licence on fair, reasonable and non-­discriminatory terms, were also discriminatory. The royalty rate being charged by Ericsson had no link to the functionality of the patented product; rather it was based on the final price of the manufactured product in which the patent was being used. Accordingly, charging of two different licence fees per phone for use of the same technology was held to be discriminatory by the CCI and an investigation has been ordered into Ericsson’s conduct. Exploitative abuses, such as excessive pricing and unfair terms of contract, have been considered in various cases by the CCI. In the Auto Parts case (2014), the CCI found that 14 car companies had abused their dominant positions by requiring customers to purchase spare parts and diagnostic tools solely from the respective car manufacturer or their authorised dealers. The COMPAT, while deciding the appeal, agreed with the CCI’s analysis that the margins from spares business substantially exceed the margins from the business of selling cars substantially and held that the car companies were charging an unfair price in the spare-parts market. On appeal, the Supreme Court has stayed the COMPAT’s judgment. On the contrary, the COMPAT’s decision in the Orissa Steel Federation case (2016) follows the approach of the EU courts to excessive pricing: it is not enough for the CCI to argue that a price is excessive, but it must also show unfairness. Besides the costs, the CCI should also consider the difference between what the dominant firm and other firms can charge, what different customers pay, whether customers can still be profitable, and whether there is a shortage of supply (in which case high prices may be an efficient method of allocating the product). As mentioned above, in the HT Media case which is now under appeal before the NCLAT, the CCI considered the minimum commitment charges imposed by SCIL as exploitative. Section 4 of the Act may cover abuses in the nature of sham litigation that result in denial of market access and limiting production, technical or scientific development. In the case of Bulls Machines v JCB India Ltd (JCB) (2014), Bulls Machines filed a complaint before the CCI alleging abuse of judicial process by JCB to exclude competitors. The complaint was filed due to proceedings initiated by JCB before the High Court of Delhi alleging infringement of the design registrations and copyright of JCB by Bulls Machines in developing the backhoe loader ‘Bull Smart’; JCB obtained an ex parte injunction against Bulls Machines on the basis of alleged design infringements. The injunction proceedings were later withdrawn by JCB as they appeared to have misrepresented the facts of the infringement of their design before the High Court of Delhi. The CCI found there was a prima facie case that JCB had abused its dominant position in the manufacture and sale of backhoe loaders in India by initiating these proceedings and directed the DG to proceed with the investigation. Although structural abuses are not specifically dealt with under the abuse of dominance provisions in the Act, the merger control provisions of the Act require mandatory pre-notification of combinations that cross certain financial thresholds contained in section 5 of the Act. Combinations that cause or are likely to cause an appreciable adverse effect on competition in India are void. Mergers and acquisitions that do not meet these financial thresholds may be assessed under section 3 of the Act for entering into anticompetitive agreements or under section 4 of the Act for an abuse of dominance; however, no transaction has been reviewed under these provisions to date. Section 4(2)(c) of the Act may be wide enough to capture any form of denial of market access, including through mergers and acquisitions, if they are exclusionary. Section 4(2) appears to set out an exhaustive list. However, the provisions dealing with abuse of dominance under the Act are fairly broad and the abuses listed under section 4(2) of the Act could, in fact, cover almost all types of abuse. requisitioning of any public record or document, or copy of a public record or document, from any office. The investigation wing of the CCI also has powers of search and seizure, which include the use of reasonable force to enter premises, examination of seizure of documents and electronic equipment, and the taking of statements in relation to the subject matter of the investigation. pass any orders the CCI deems fit. Further, the CCI has the power and jurisdiction to pass appropriate interim orders pending investigation. Contravention of the CCI’s orders can invite further financial penalties and even criminal sanctions punishable by additional fines or imprisonment of up to three years, or both. The CCI may also impose significant fines for withholding information and providing false information. Under the provisions of section 48 of the Act, individuals in charge of an enterprise contravening the provisions of the Act, or individuals aiding the commission of such contraventions, shall be liable to be proceeded against and punished under section 27 of the Act. The CCI has previously penalised individuals for being in charge of a company found to have abused a dominant position. Having said that, presently, there are challenges pending before the High Court of Delhi on whether individual liability under the Act is for contravening the provisions of the Act or the liability arises only in the event the CCI’s orders are not complied with. The highest fine ever imposed by the CCI for abuse of dominance was in the Auto Parts case, where a cumulative fine of 25.44 billion rupees (ie, 2 per cent of average annual turnover) was imposed on 14 car manufacturers. On appeal, however, the COMPAT mandated the companies to pay a 2 per cent penalty on the average annual turnover of spare parts in the aftermarket. The CCI is yet to determine this amount. The COMPAT’s judgment was stayed by the Supreme Court on appeal. The highest fine ever imposed by the CCI for abuse of dominance on individuals was in Shivam Enterprises v Kiratpur Sahib Truck Operators Co-operative Transport Society Limited and Ors (2015), where a cumulative fine of 112,297 rupees was imposed on eight individuals. The CCI and the NCLAT can directly impose sanctions without recourse to courts or other authorities. This year, the CCI’s approach to cases involving abuse of dominance was market friendly and less interventionist as it adopted a ‘hands off’ approach in disruptive (high tech and new) markets. In a complaint filed against WhatsApp Inc alleging that it was indulging in predatory pricing by not charging any subscription fee from its subscribers since January 2016, the CCI dismissed the allegations holding that it was standard practice in the relevant market for ‘instant messaging services using consumer communication apps through smartphones in India’ to provide services without charging users who could shift from one communication app to another without incurring any or minimal cost. The CCI dismissed cases against taxi aggregators filed by competitors in the traditional radio taxi market. The CCI observed that Ola and Uber posed competitive constraints on each other and were not dominant. In October 2017, Meru Cabs filed fresh complaints alleging that Ola and Uber were disrupting the market in four cities by burning huge sums of foreign investor money, thereby abusing their dominance. Airtel had filed a case against Reliance Jio for indulging in predatory pricing by providing free telecommunication services to its subscribers. In June 2017, CCI dismissed the case holding that in a competitive market scenario, where there are already big players operating in the market, it would not be ‘anticompetitive for an entrant to incentivise customers towards its own services by giving attractive offers and schemes’. Separately, the CCI re-affirmed a finding of abuse of a dominant position by Coal India regarding alleged imposition of unfair and discriminatory terms in fuel supply agreements. The COMPAT had remanded this matter to the CCI on the ground of violation of principles of natural justice and the CCI found a contravention, however, reduced its earlier penalty from US$273 million to US$91 million. Finally, consistent with its approach to the remanded cases, the CCI confirmed its previous decision in the BCCI case and upheld the entire penalty. Finally, the CCI issued its long-awaited decision against Google, fining it 5 per cent of its direct sales turnover in India. The CCI found that the prominent and pre-determined positioning of Google’s own products in the search results amounted to an abuse. The CCI, in Belaire Owner’s Association v DLF Limited (2011), held that DLF abused its dominant position in the market for ‘high-end residential properties in Gurgaon’ by imposing unfair conditions in the Apartment Buyer’s Agreement (ABA) for the sale of its services to consumers. Further, the CCI held the unfair conditions to be in contravention of section 4 and thus, ordered modification of the same. On appeal, the COMPAT (2014) upheld the CCl’s order that DLF abused its dominant position in the market. However, the COMPAT refused to look into and consider the validity of the ABAs, which were entered into prior to the Act coming into force, and were voluntarily executed, without the element of compulsion. In this regard, inference can be drawn from the COMPAT’s decision in the Auto Parts case. The COMPAT, in the Auto Parts case, directed the automotive manufacturers to remove all restrictions on supply of spare parts, rather than invalidating the entire supply contracts or modifying the relevant clauses that were held to be in contravention of section 3(4). The CCI and the NCLAT are exclusively responsible for enforcing the provisions of the Act. Under section 53N of the Act, any person, enterprise or government harmed by the conduct of an enterprise under section 4 can approach the NCLAT for compensation on the basis of an order of the CCI or NCLAT finding a contravention of the Act. The Act further provides that class actions for compensation may also be instituted. The procedure to be followed in such cases will be the same as the procedure for class actions already present under Indian civil procedure. Presently, the NCLAT is considering the compensation claim filed by MCX Stock Exchange Ltd against the NSE, on account of alleged losses suffered owing to the zero-pricing strategy adopted by the NSE in the currency derivatives segment. The other compensation application pending before the NCLAT is against Coal India on the basis of the CCI’s decision in 2014 finding Coal India guilty of abuse of dominance. Initially, the claimant raised claims of approximately 9 billion rupees which, after the decision of the COMPAT in 2016, was increased to approximately 15 billion rupees to account for alleged losses suffered till 2016. Under section 53A of the Act, the CCI’s decisions finding an abuse may be appealed to the NCLAT. Further, under section 53T of the Act, any decision or order of the NCLAT may be appealed to the Supreme Court of India only on the point of law. By way of a government notification, the COMPAT was merged with the NCLAT with effect from 26 May 2017. In India, there are no rules applying to the unilateral conduct of a non-dominant firm. This year is notable for CCI’s closure of cases, as much as it is for findings of contraventions within the scheme of section 4 of the Act. Cases involving large and well-funded companies such as Reliance Jio, WhatsApp and Ola Cabs have all been closed by the CCI. While there are no expected changes to the legislation or other measures that will have an impact on this area in the near future, we await certain crucial judicial pronouncements in cases pending before the Supreme Court and High Court that will determine and settle the applicable law. These include the Schott Glass case for price discrimination on appeal before the Supreme Court and appeals by Coal India on merits regarding unfair terms and conditions in the Supreme Court as well as the underlying compensation application before the NCLAT. The Auto Parts case is before the Supreme Court on merits for denial of market access to spare parts and repair services, and separately before the High Courts of Delhi and Chennai in constitutional and jurisdictional challenges.